Remotely track and control activity on smartphones – call logs, messages, social networking websites, WhatsApp, Instagram, Facebook messenger & 20 more features. 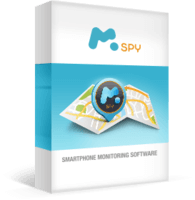 mSpy app runs invisibly on the target smartphone enabling you to spy on your kids or spouse. Read – How cell phone tapping works?. Just plug-in this small USB device between your computer & USB keyboard and it will start recording all the keystrokes including passwords. Transfer files over WiFi anonymously to your computer or emails them to your email address. Read – Best Hardware Keyloggers.